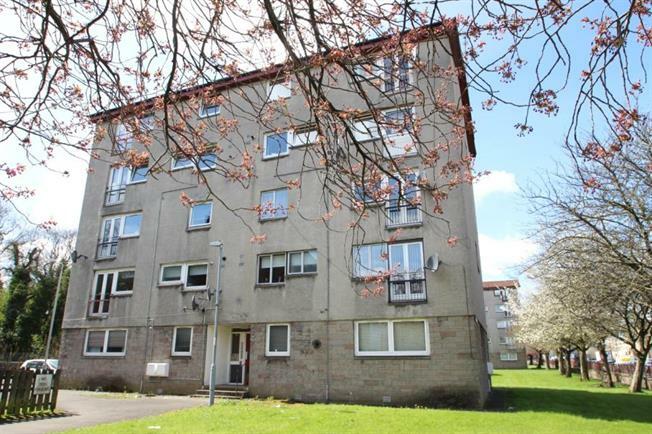 2 Bedroom Upper Floor Maisonette For Sale in Paisley for Offers Over £48,500. Spacious two bedroom 2nd floor maisonette flat ideally placed for Paisley town centre and the large variety of amenities that it offers. This property is sure to appeal to young families or first-time buyers alike. In addition it also benefits from attractive open aspects. The well proportioned accommodation comprises reception hallway incorporating storage. On the entrance level there are two double bedrooms and a stairwell leading up to the lounge/dining area, fitted kitchen offering ample storage and a family bathroom. The property features gas central heating and double glazing. Internal inspection is strongly advised in order to fully appreciate the well presented accommodation and open aspects on offer.